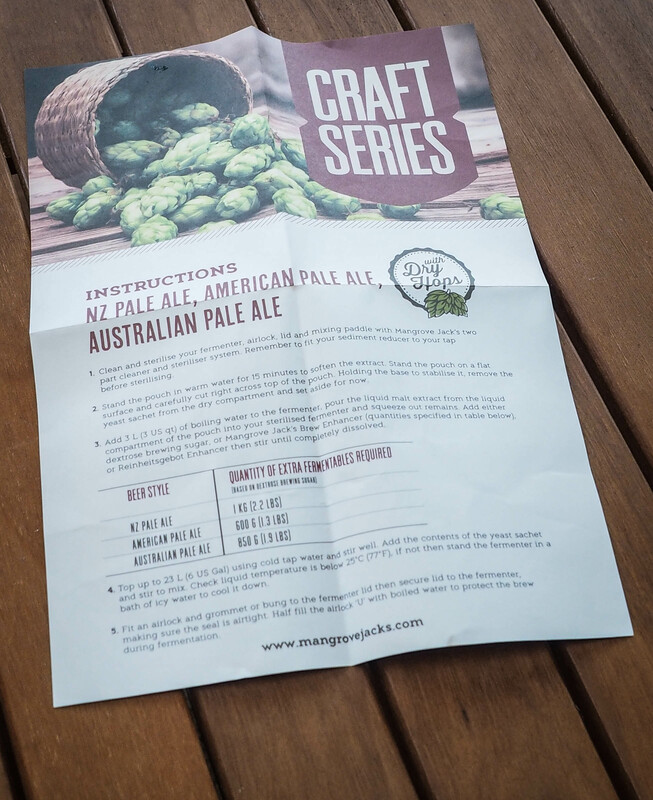 After many years of being an all-grain brewer I thought I would try these new Mangrove Jack’s Craft Brewery Pouches – the Australian Pale Ale. The last time I had done an extract brew was back in about 2008 and while there we some “premium” cans available at the time they were not available in these fresh pack pouches, nor with 50 grams of hops and a premium yeast. 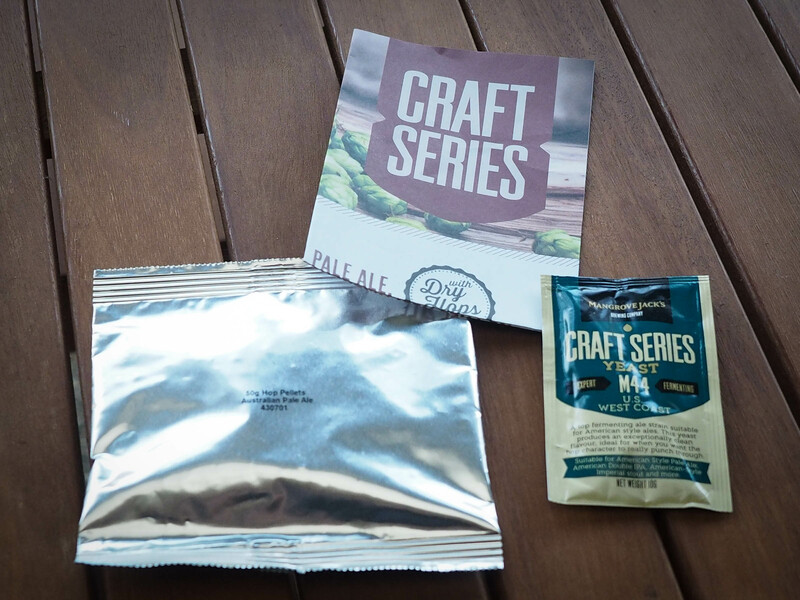 The pouch, once opened, contains the extract as well as an instruction pamphlet, a Mangrove Jack’s yeast and a packet of hops for the dry hopping – luckily split inside and not covered in extract! 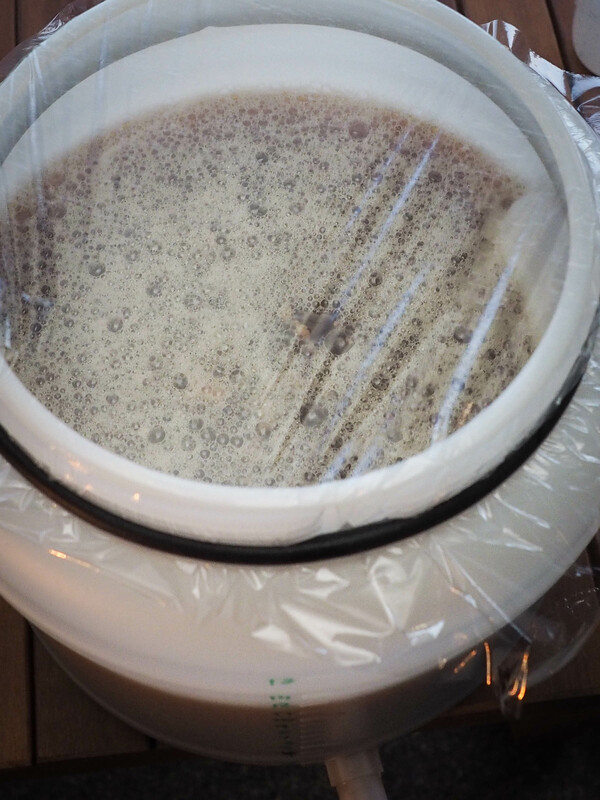 While dissolving the extract in the fermenter, I rehydrated the yeast and filled the fermenter to 12 litres – yes, against the instructions! 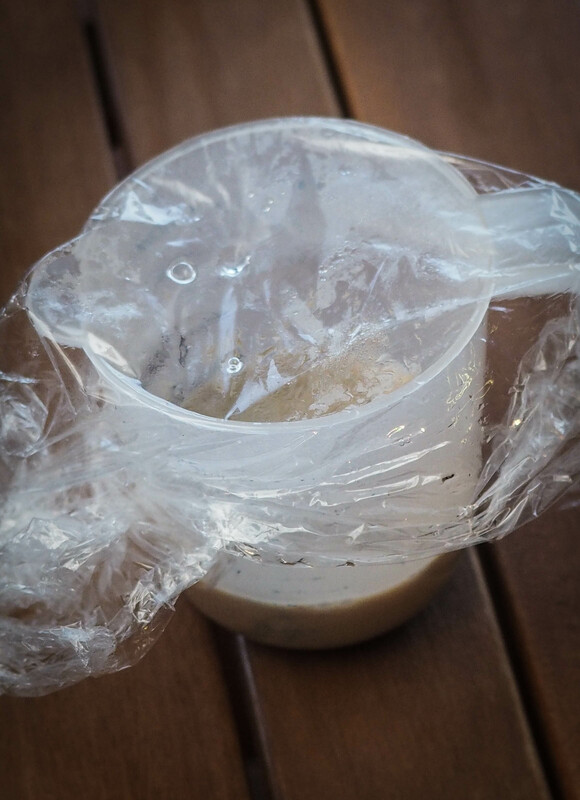 The instructions call for extra malt extract or sugar (like most kits) but I figured I’d just use the pouch and other included ingredients and see how it goes – after all, this is an experiment. 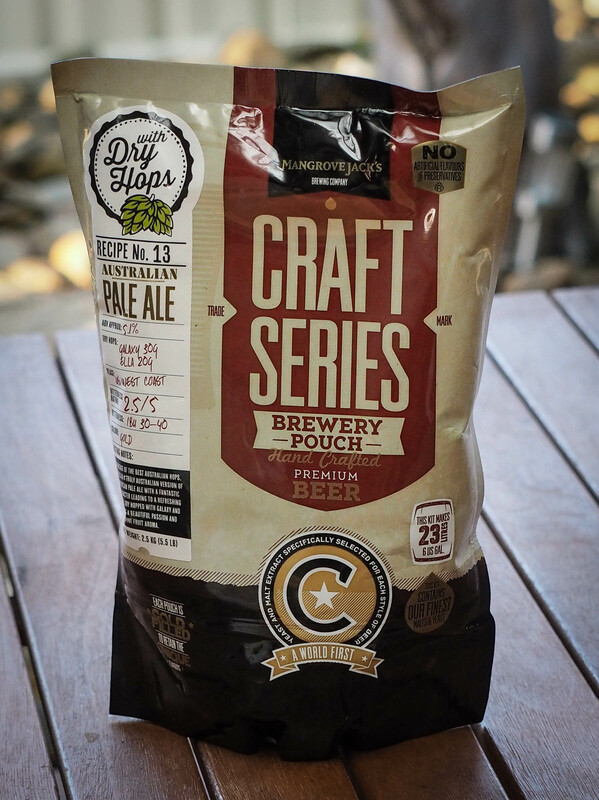 The Mangrove Jacks Craft Brewery Pouch was very easy and quick to use and the inclusion of the other products such as good quality yeast and hops are a huge improvement over extract kits I remember from years ago. While I may not get the “proper” results as I did my own thing, the truth will be in the taste – more like an Aussie IPA I reckon. 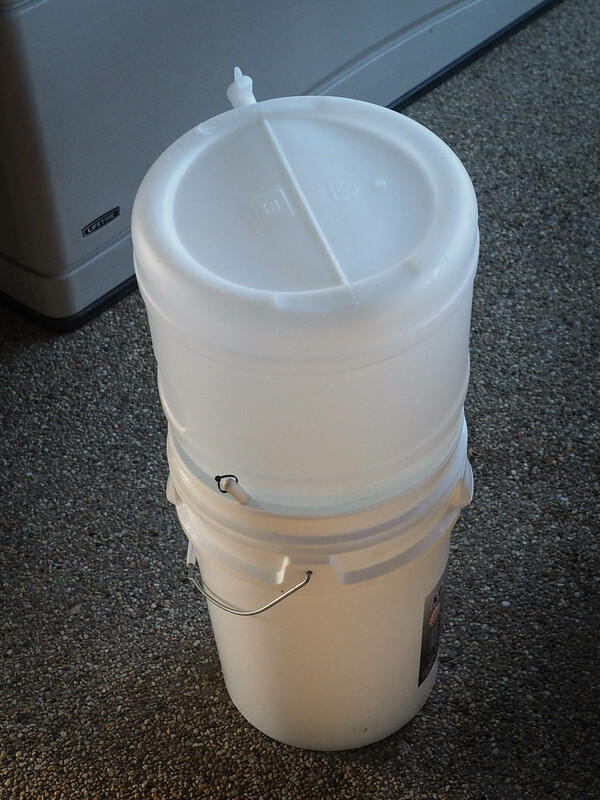 I’ve only heard pretty good things about these kits and look forward to this easy half-keg filler, it was by far the quickest brew day I’ve had in a long time!